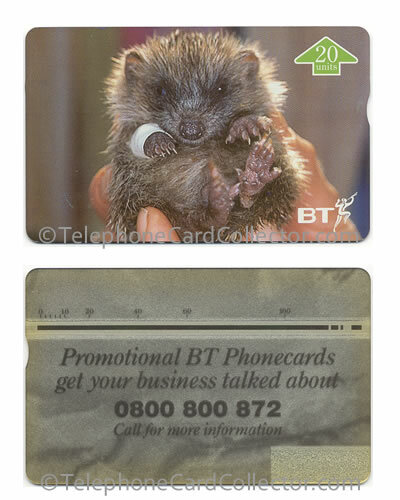 These British Telecom (BT) telephone cards were cards commissioned by internal departments within BT, usually in limited print runs, for a specific event, sponsorship or to advertise a particular service. As such, the availability of these cards is restricted to agents, officials or members of organisations sponsored by BT. 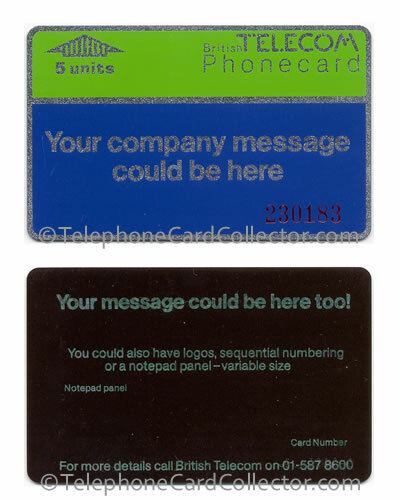 Included in this section are cards issued to a specific individual within BT for use as a visiting card. The cards pictured below appear in order of catalogue number BTI001 to BTI208. The cards pictured are a mere few from the BTI category which features 209 cards. 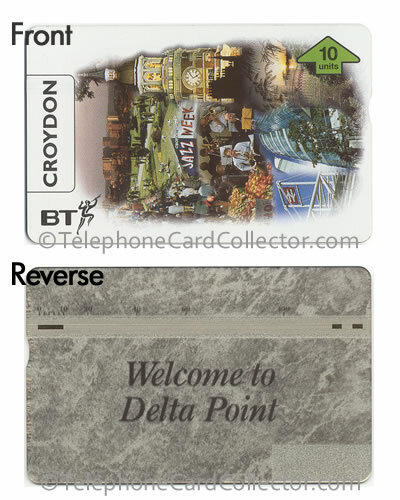 To view all of the cards in BTI section simply purchase a copy of the UK 1 World Phonecard Catalogue (pictured right). Company Message with red font on front and green text on reverse. Other examples of this card see silver font on the front and a gold reverse. 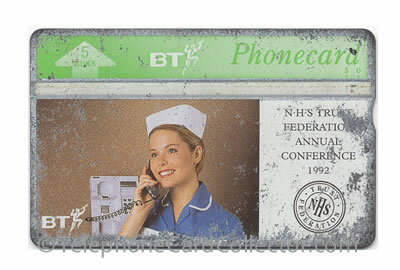 BT piper logo printed onto a 20unit BT Phonecard. Used and scratched copy of NHS Trust Federation Annual Conference 1992. 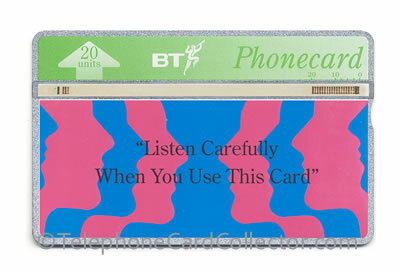 Used Listen Carefully 20unit BT Phonecard. 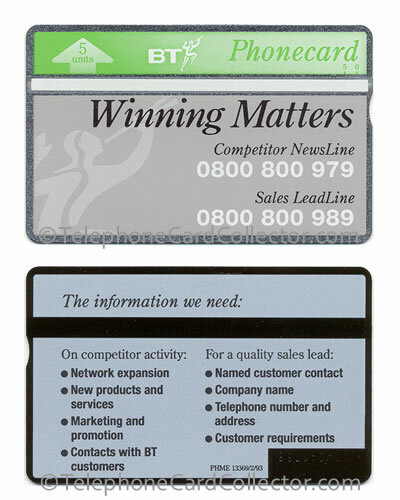 Winning Matters BT telephone card. 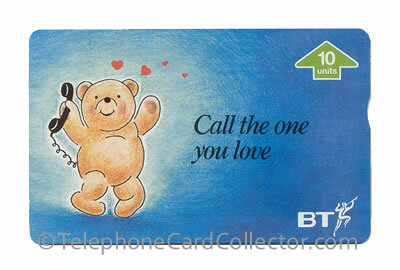 BT Collectors Club St. Valentines Day 1995 BT Phonecard. 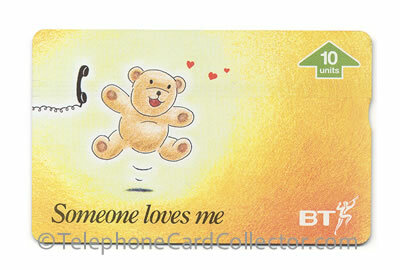 BTI109: BTCC Valentine Card - "Call the one you love"
BTI110: BTCC Valentine Card - "Someone loves me"
Thank you... 10unit BT Phonecard. Mint Welcome to Delta Point, Croydon - BT Phonecard. St. Tiggywinkles Full Face Trial Card, both sides of this card are shown. Please note: This card is also included in the engineering trial cards where it is given a catalogue number of BTE010. 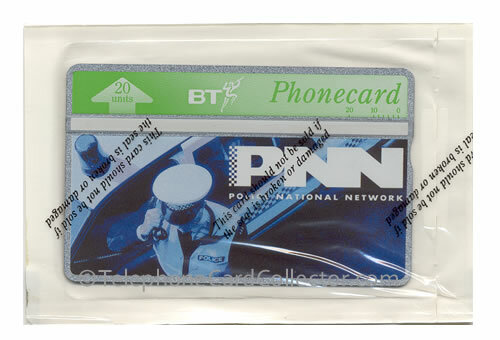 PNN Police National Network BT Phonecard. 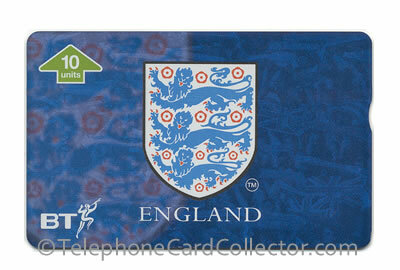 England Football The FA Crest BT Phonecard.